When you see a used Mercedes-Benz for sale, the thought may be, hmm, it’s a used car, but it’s a used Mercedes, a vehicle known for quality, reliability, and luxury. So in following the company’s culture of “The Best or Nothing” we have the Certified Pre-Owned Mercedes-Benz program to give customers the reassurance they are receiving a reliable pre-owned car, truck or SUV. Lots of manufacturers use the terminology, Certified Pre-Owned, but each has its individual meaning and standards. As a Mercedes-Benz dealer, we have an extensive list of things that need to be checked on for each vehicle that we want to certify and strict rules regarding the condition of individual items on it. This means because we’re a dealership that is authorized to sell new Mercedes-Benz vehicles, only then can we also sell Mercedes-Benz Certified Pre-Owned used vehicles. No other manufacturer’s dealership can sell a Mercedes-Benz as certified. 5 Differences between a Certified Pre-Owned Mercedes-Benz and a used Mercedes-Benz. The vehicle must be no more than 6 model years old. The vehicle has to be originally sold through MBUSA. This tells you a Certified Pre-Owned Mercedes was manufactured for, and originally sold by, a Mercedes-Benz Dealer in the United States. There must be less than 75,000 miles on the vehicle. An extensive inspection inside and out. Mandatory 165 point inspection and reconditioning to be performed only by an MBUSA Dealer Certified Technician. Zero discrepencys allowed in VMI. There can not be a single discrepancy in the Vehicle Master Inquiry, the service information directly from Mercedes-Benz. Why is Mercedes-Benz so particular about what Certified Pre-Owned is and isn’t? So they can offer the Mercedes-Benz Certified Pre-Owned Warranty and the Exchange Privilege. The Certified Pre-Owned warranty is an additional warranty from the Mercedes-Benz factory and works just like the original factory warranty. The Certified Pre-Owned Exchange Privilege gives you 7 days or 500 miles in which to decide if the Certified Pre-Owned Mercedes is truly the right one for you. All Dealers participating in the MBCPO Program have agreed to provide an exchange privilege that provides customers, not satisfied with their vehicle, the ability to bring it back within seven calendar days or 500 miles from date of sale, whichever occurs first. Under the Exchange Privilege Program, a customer can exchange their vehicle for another Mercedes-Benz Certified Pre-Owned vehicle or new Mercedes-Benz vehicle of equal or greater price. 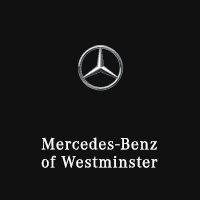 When it comes to buying a Certified Pre-Owned Mercedes-Benz from Mercedes-Benz of Westminster or a used Mercedes-Benz; it truly is The best or nothing. Come in and see for yourself our new, certified pre-owned, and used Mercedes-Benz vehicles.